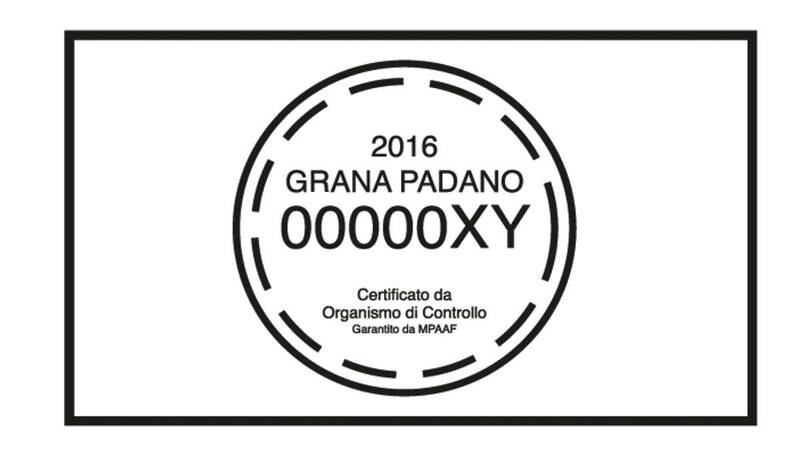 This is a small disc which contains an alphanumeric code, which identifies every single wheel of Grana Padano PDO. This plaque is inserted on the flat side of Grana Padano PDO cheese as it is being formed in the mould, so that it becomes an inseparable part of the rind. Thus, every whole cheese has its own traceable code.